To bake along theme Hokkaido chiffon cupcakes event with my cyber blogger pals, I've planned 2 flavours. Here's the Lemon Curd HCC shared earlier. 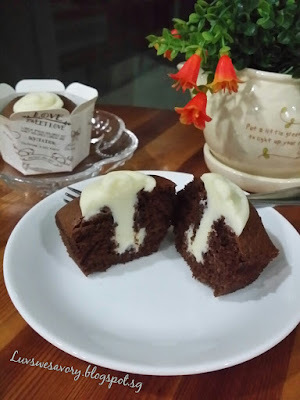 Since we all so loved that very chocolatey chiffon cake I'd baked on my birthday .... yes that Japanese Dark Pearl Chiffon Cake (here) .... hee ... hee ... Well, why not try it as Japanese Dark Pearl Hokkaido Chiffon Cupcake? With cream cheese filling. I'm not sure if this filling will match well with this dark chocolate flavour ... let's see. Yields 10 depends on the size of cupcake liners. First melt chocolate over double boiler or microwave. Stir until smooth and set aside to cool. * Dry ingredients : Combine and sift together the flour, cocoa powder, baking powder and baking soda. Set aside. In a clean mixing bowl, whisk the cold egg whites and cream of tartar till foamy using the electric mixer. Gradually add in caster sugar in 3 separate additions and beat till stiff peak, formed into a firm meringue. Transfer to a big bowl and chill in the fridge. In the same bowl (wipe off the meringue with kitchen towel), beat the egg yolks lightly with a hand whisk. Next add the oil, milk and the slightly warm melted chocolate. Stir well. Add the dry ingredients into the egg yolk mixture, mix till to a smooth & thick batter. Gently fold 1/3 of the meringue into the batter mixture with a spatula. Gently fold the remaining meringue into the mixture in 2 batches until it looks evenly mixed (no streaks of meringue). 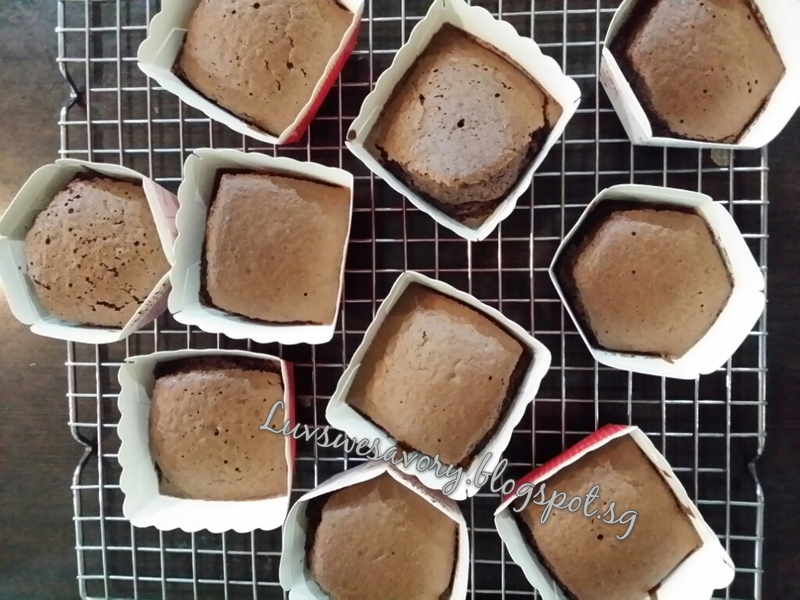 Scoop batter into pre-arranged cupcake liners to about ¾ full. Bake at 160°C for about 30 minutes. Remove from the oven and allow to cool completely. While the cupcakes are cooling, prepare the cream cheese filling. I estimated the amount, used all for this batch. Should have made more so I could pipe nice & bigger swirls for the top. Beat the butter and cream cheese until very smooth and creamy with electric mixer. Add the icing sugar and beat until fully incorporated and smooth. Once the cupcakes are cooled, fill cream cheese in a piping bag fitted with a round nozzle. 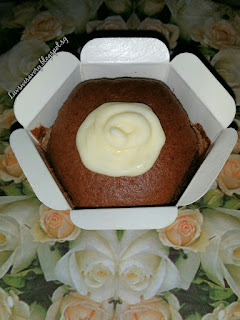 Push the piping tip into the centre of the cupcake and pipe/squeeze some amount. Decorate the top to your desire. Ta dah ! Yes ! Presenting ... chocolatey, soft & moist Japanese Dark Pearl Hokkaido Chiffon Cupcake with Cream Cheese ^-^! #Update : brought a few to office to treat my colleagues and they also commented very nice & delicious! ... happy ^-^! Up ... up ! Jump ! ... onto the last wagon for this bake-along theme Hokkaido Chiffon Cupcakes. 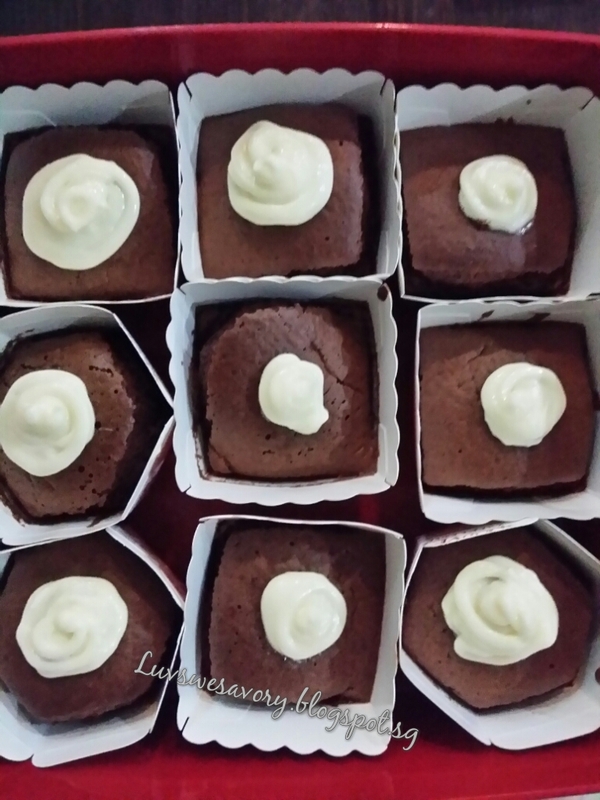 have attempted to try baking Hokkaido cupcakes but have not done so till now..your Hakkaido cupcakes look perfect. Hi Agnes, thanks for your compliment ^-^! 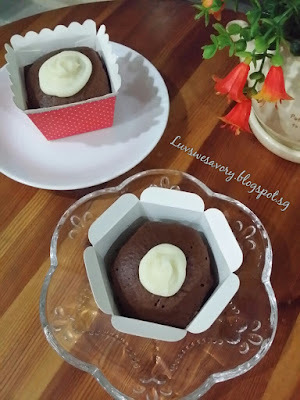 My big kids love this chocolatey flavour Hokkaido cupcakes very much. Woa! 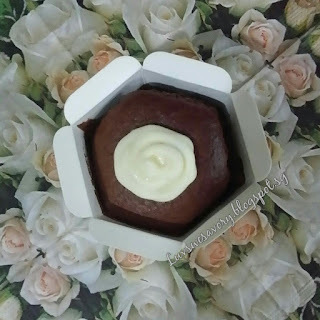 Hokkaido Cupcake with cream cheese filling. My 2 boys will love it! I don't have any more whipping cream and glad the cream cheese filling compliment well with this chocolatey flavour Hokkaido cupcakes ^-^! if i stay next to you, sure i will knock on your door and grab 2 of these lovely cupcakes! Happy weekend to you too! I have baked this recipe in chiffon and coated it with more chocolate ganache, really chocolate overload! 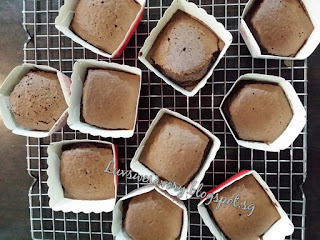 Yours served in small cuppies is a good "healthier" idea! 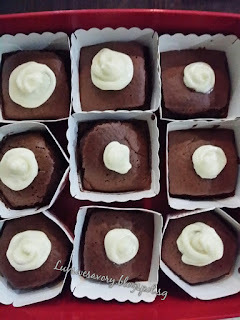 Hi Karen, chocolate and lemon curd - this combination sounds so good and appetizing to me. They look very cute too in the paper cups. I like your idea!!! 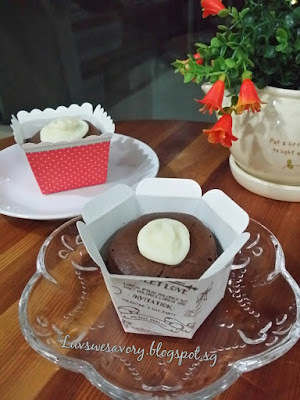 We like Jap dark pearl chiffon cake too and I didn't know I can bake them in the form of cupcakes too! Well... silly me! Now I know! Cream cheese filling! My kids would definitely love these, they love chocolates and cheese!